This post is the first in an ongoing series titled “Bless Your Heart, New York,” in which we ever so sweetly remind the Big Apple of the things they are doing oh so wrong. Bless their hearts. I have a bone to pick with you. Lately I’ve noticed a trend in what one might term “nightlife locales.” More and more often, I’ve come across cocktail menus with artisan offerings featuring my favorite Kentucky spirit, that delicious elixir known as bourbon. Now I’m all for experimentation, and my homesickness is soothed by the familiar notes of homespun liquor in a cosmopolitan drink (not a Cosmopolitan drink — that would be gross). And in my travels, I have on occasion even come across a familiar old friend, one with whom I’ve spent many a May afternoon: my dear mint julep. I’m always thrilled to see good ole minty on a menu, like catching sight of an old friend across a crowded room full of anonymous hipsters. And so, brimming with enthusiasm, I order up an ice cold julep. I eagerly await my cocktail, dreaming of humid summer nights at the track and bright sunshiney barbecues. It’s been too long. I can’t wait to be reunited! And then my drink arrives. There are many things New York does well: bagels, pizza, incredibly cheap Chinese food. But by and large, this city’s attempts at the mint julep, a gold standard among cocktails, are, well, pathetic. Bless your heart, New York, but you just are not getting this right. Here are some signs that you may be woefully off track. If your julep contains no ice. Early Times, the official julep sponsor of the Kentucky Derby, calls for a julep to start with a heaping cup of crushed ice, which is then rapidly stirred until the glass is frosted. Like the touch of a Disney princess, the creation of a mint julep should cloak the vessel in the sheen of a winter wonderland, with baby icebergs floating amid the leaves of mint. Lukewarm is an adjective that should never be applied to this drink. If your julep contains lime. I want to tell you a story. Her first Derby in New York, Scout was feeling homesick and set off in search of some appropriate festivities. Her roommate worked at a bar that was hosting a Derby Party, so Scout decided to join her. On approaching the bar, she saw two large vats of pre-mixed drinks: one labeled Mint Juleps and the other Mojitos. She chose the julep. At first sip, she could tell that something was amiss. 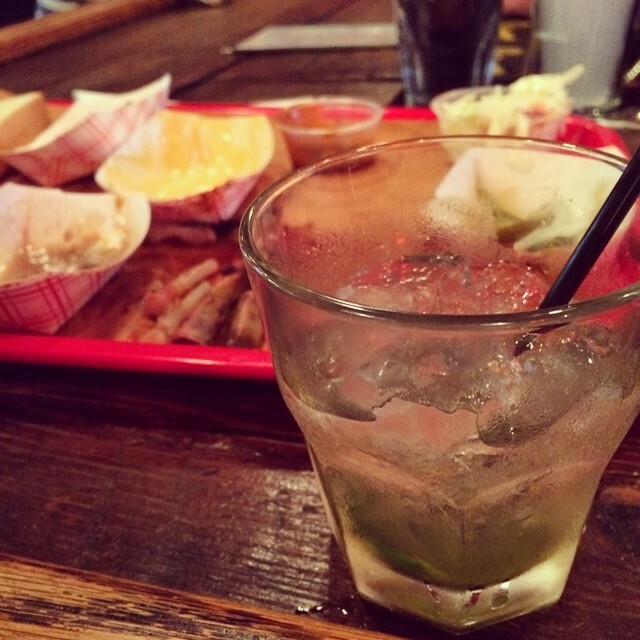 She looked down and discovered a green slice of lime floating in her purported julep. Shocked, confused, and mildly outraged, she concluded that the bartender must have misheard her or mixed up the drinks, so she asked for a sip of her friend’s cocktail to verify the mistake. Turns out, she had the same thing. The vats, despite their signs, were identical. 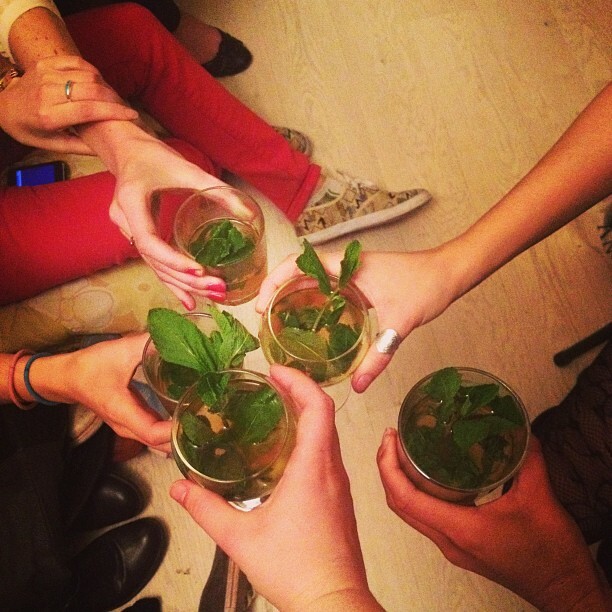 A mint julep is not a mojito. Lime, lemon, or fruit of any kind has no place in your glass. If you want fruit with your bourbon, order a Manhattan. Otherwise, unless it’s green and leafy, it stays in the fridge. You have been warned. If your julep contains any alcohol other than straight Kentucky bourbon. There are some who claim that bourbon manufactured in the state of New York is legitimate bourbon. I am not one of those people. And woe be the mixologist who tries to spice things up with a little rye or, god forbid, some non-brown liquor (again, people, this is not a mojito!). The mint julep is a classic, a king among cocktails, a true American beverage. Take your experimentation elsewhere. Now there are a few spots in New York that have managed to get the julep right. My personal favorite is Mable’s in Williamsburg (to be fair, one of the owners is a Louisvillian, which gives them a slight advantage). Their juleps are ice cold, with a well-tuned balance of bourbon and simple syrup, and a fresh mint garnish adding a splash of color. They pair fantastically with the pulled pork and the macaroni and cheese, both equally delicious. If, however, you’re more the do-it-yourself type, here is my favorite, foolproof julep recipe. A guaranteed hit at Derby parties, happy hours, or Saturday evenings in general. This is a serious beverage, and as such requires some overnight prep, but the actual assembly process could not be easier and will get you a delicious, crowd-pleasing libation every time. The night (or at least several hours) before you plan on serving your juleps, make your simple syrup. Boil one part water/one part sugar together for five minutes. (I usually start with two cups of each, and then go from there.) If you can, I recommend using cane sugar, like Trader Joe’s sells. It gives the julep an extra kick of brown sugar flavor, with notes of pecan pie. But plain old white sugar will do the trick as well. Set the mixture aside to cool. Once it’s no longer hot to the touch, pour it into an easily refrigeratable (and preferably pour-friendly) container along with 8-12 sprigs of fresh mint. Let sit overnight, or for at least 8 hours. 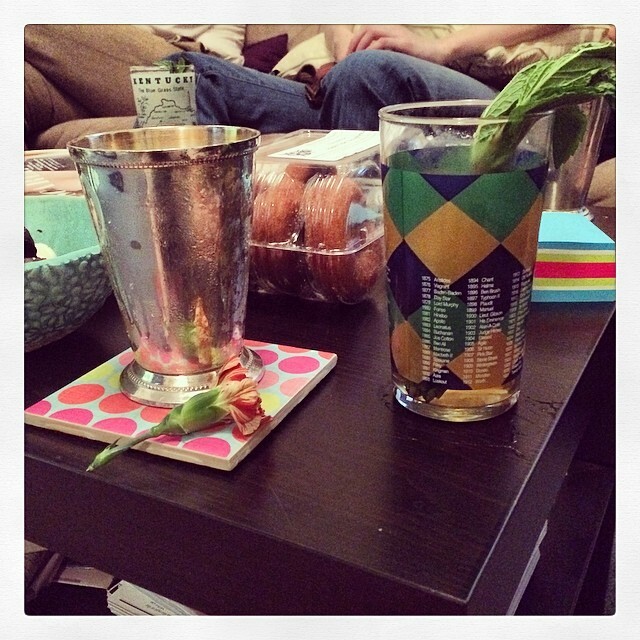 When you’re ready to make your juleps, remove the mint from the syrup. Fill your glasses with crushed ice, and pour in the syrup and bourbon until full. I usually go for a three-fourths bourbon/one-fourth syrup ratio, but you can adjust to taste. Stir to blend (and to get that glass nice and frosty). Garnish with a sprig of mint and enjoy! Got a bone to pick with dear New York? Something got you face-palming and wringing your hands? Shoot us an email at zeldaandscout@gmail.com and let us know about your greatest bless-your-heart moments. Now I know what a real julep should taste like. I’ll never settle! Love it! Bless their hearts (in the real Southern way).